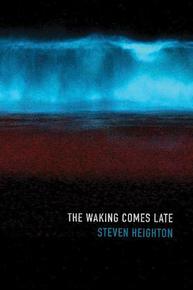 Our next chat in this year’s Governor General’s Awards special is with Steven Heighton, who won his first GG Award for his poetry collection The Waking Comes Late. 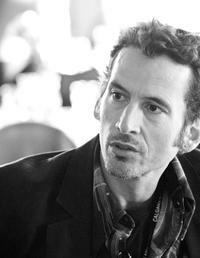 Steven Heighton’s most recent books are The Waking Comes Late and the Trillium Award finalist The Dead Are More Visible (stories). His novel Afterlands has appeared in six countries, was a New York Times Book Review editors’ choice, and was cited on best of year lists in ten publications in Canada, the US, and the UK. The novel is now in pre-production for film. His short fiction and poetry have received four gold National Magazine Awards and have appeared in London Review of Books, Best English Stories, Poetry, Best American Poetry, Tin House, TLR, Agni, Best American Mystery Stories, London Magazine, Zoetrope, Poetry London, and five editions of Best Canadian Stories. Heighton has been nominated for the Governor General’s Award and Britain’s W.H. Smith Award, and he is a fiction reviewer for the New York Times Book Review. His new novel, The Nightingale Won’t Let You Sleep, will appear in 2017. The Waking Comes Late is your fifth collection of poetry. How did this particular collection come together, and has anything changed in how you approach writing poetry since your first collection, Stalin’s Carnival, was published in 1990? When I started out I would sometimes force, or will, or rush poems, out of a young writer's natural impatience—I really wanted that first book finished, accepted, published, so that I'd feel I had somehow arrived, a "real writer." And so I'd self-consciously construct certain poems, to fill gaps in my evolving manuscript and create a more coherent collection. These days I rarely if ever do that, partly because I don't have time (most of my time is now taken up trying to make a living by writing fiction and doing brief teaching gigs and residencies) and partly because I've come to realize that most willed poems are fundamentally counterfeit. So, I'm now in the position of having to wait until I'm bushwhacked by inspiration and have no choice but to write. Lucky for me, my nightmind has stepped up and taken over—a lot of my poems are now coming out of dreams, lines I wake up to in the middle of the night and scribble down by flashlight. It's as if the poet part of my psyche, given a choice between early retirement and the graveyard shift, has opted to go zombie. I believe it was the short-story writer Amy Hempel who once said that we should write what makes us most afraid. What’s at stake for you when you write? These days, as I say above, half of my poems arrive in the form of dreams, so I have even less control over their creation than I used to have. Either they come or they don't. And if one day (one night) they stop coming altogether, what can I do? Nothing. Scary. What’s your own litmus test for great poetry? Whether or not it overcomes my resistance to falling in love with it. Let me explain. Lately, it's as if I fear my mental hard-drive is full and can't accommodate any more favourite books. Or maybe I'm just too busy writing fiction and trying to make a living to find time to fall in love with new poetry. Shameful. I hope it will pass. Anyway ... now and then I read something—recently it was Anne Carson's "The Glass Essay"—and it shatters my resistance and leaves me saying, Yes. Now and then I read something—recently it was Anne Carson's "The Glass Essay"—and it shatters my resistance and leaves me saying, Yes. I can pay the roofers in cash and get my daughter an electric keyboard for her apartment. She's away at university; playing the piano was how she used to de-stress at home during high school. Can't wait to take her shopping. Right now I'm reading the other GG poetry finalists—Rachel Rose's Marry & Burn, Gary Thomas Morse's Prairie Harbour, Susan Holbrooks's Throaty Wipes, and, for the second time, Joe Denham's Regeneration Machine. All very strong, all overcoming my ridiculous resistance to new work.